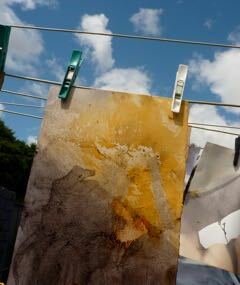 A day of experimenting and creating with rust, indigo and wax resist on paper. The beginning of any art project is gathering the inspirational materials. At this workshop you will spend the day guided by me as you transform many different paper surfaces. 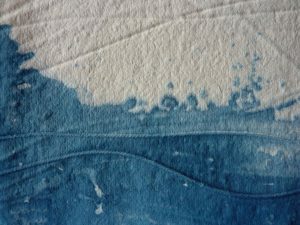 Dipping in indigo, exploring the rusting baths and working with cold wax as a resist, will provide you with a multitude of delightfully coloured papers. There may even be time to make some marks on your papers with ‘natural’ brushes. 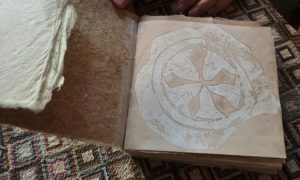 These lovely papers will be suitable to use in your artwork and there will be an opportunity at the end of the day to plan a follow up book binding workshop, if you want to bind some of your papers into a book at a later date. Yes, I’d love to do this workshop.